A drug-free way to reduce pain may be right at hand…literally. University of Colorado pain researcher Pavel Goldstein had his “aha” moment during the birth of his daughter. When he held his wife’s hand, her pain seemed to ease. That motivated him to try to replicate the experience in the lab and see whether touch could be a viable alternative to medication when one partner in a couple experiences pain. We already know that skin-to-skin touch has health benefits, from playing a pivotal role in the brain development of premature infants to decreasing the stress hormone cortisol in people of all ages. (Think back to that time you grabbed your partner’s hand on an airplane during a rough landing.) An emotionally warm touch releases oxytocin, the so-called love hormone, which promotes trust and devotion. But providing relief to actual physical pain would take touch to a whole new level. The study:Dr. Goldstein and colleagues recruited 22 couples involved in their relationships for at least a year. The participants went through several two-minute scenarios as electroencephalography, or EEG, caps measured their brain wave activity. The scenarios included sitting together without touching, sitting together holding hands and sitting in separate rooms. Then the scenarios were repeated, and each woman received pain stimuli in the form of mild heat on her arm. The women’s pain did vary based on which situation they were in, and in every case, their pain was less when their partner was in the room with them. 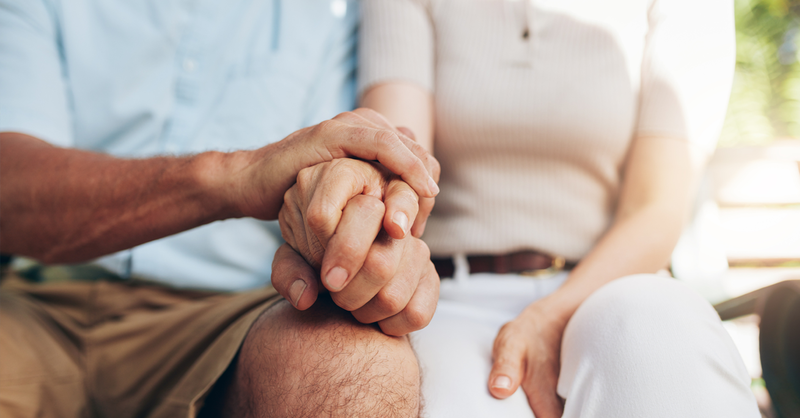 Compared with what they felt when they were alone, the greatest reduction in pain came when they held their partners’ hands, and the more empathy the partner conveyed, the greater the pain relief the women experienced. The study revealed that the more empathy a partner feels for his partner in pain, the more the couple’s brain waves fall into sync. And the more those brain waves sync, the greater the pain relief. How exactly could coupling of brain activity with an empathetic partner kill pain? More studies are needed to find out, stressed Goldstein. But he and his coauthors offer a few possible explanations. Empathetic touch can make a person feel understood, which in turn, according to previous studies, could activate painkilling reward mechanisms in the brain.